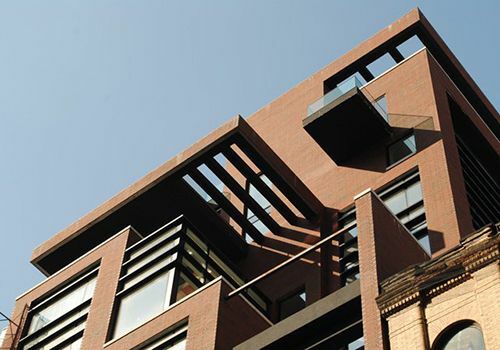 Architect Manuel Glas designed this sleek 13-story condominium in northern Tribeca. The building contains 33 units and is conveniently located near several subway lines. The project also features an in-building parking garage and a recreational roof. The previous structure was a parking garage that had to be demolished. Outsource assisted with a number of amendments and reconsiderations on the project. Outsource acquired a special permit to allow the project’s parking structure. The building has an E-designation requiring an initial submittal through the Office of Emergency Remediation. Outsource also executed all approvals and permit filings and removed all violations on the project.